As Earth Day approaches on April 22nd, we think to ourselves what we can do better to be more green and leave less carbon footprint of our existence here on earth. Pat yourself on the back for bringing that reusable bag to the grocery store or using a reusable water bottle to get that daily water consumption in check. Although these are all great starts, more must be done to make this planet a great place for future generations. 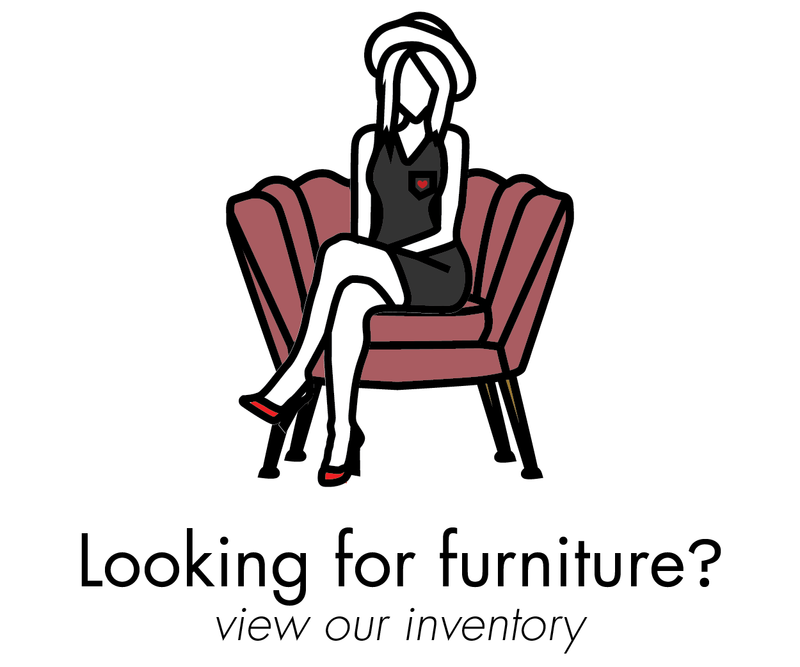 One solution you may not have thought about is drumroll… vintage furniture!!!! With a world based on fast fashion, fast furniture has become ever more popular. You can easily go into any big box furniture retailer and buy furniture for your house cheaper than ever before. Other than the durability issue of these goods, there are many other negative environmental impacts. Most fast furniture is made with particle board or MDF. In order to make these pieces, serious chemicals are pressed into the process, the largest amount is formaldehyde. Formaldehyde is a known human carcinogen which means you are bringing this chemical into your home and living with the harmful toxins of offgassing. It doesn't matter how healthy you are eating or how many hours you are doing yoga or working out when you are constantly living and breathing in toxins. Also, particle board takes a large amount of energy to produce. Wood scraps must be shredded, dried, and mixed with chemicals and adhesives, all before the heating and panel pressing process begins. The part that is the worst is that once you are done with these pieces, the particle board is often not recyclable, due to the adhesives used to hold the wood particles together. So they have to brought to the landfill. This is creating a very negative impact on our environment since these poorly made pieces rarely get used more than a few years unlike older quality-made furniture that can last for hundreds of years. See the graphic below that illustrates our growing issue. A better option for the enviornment is to buy more long-lasting, better-made furniture. We have you covered. 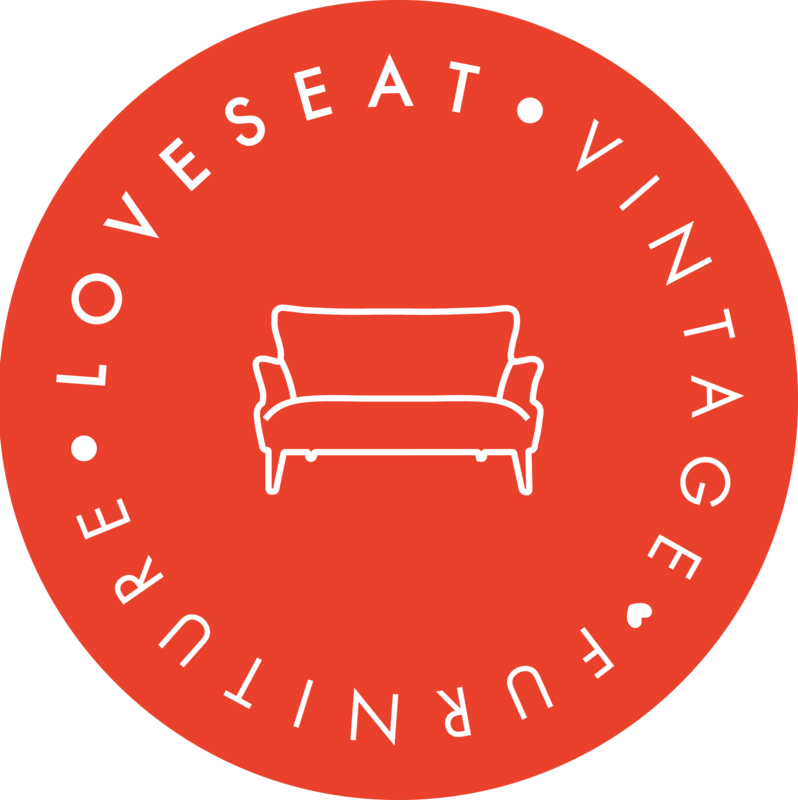 At Loveseat we allow you to buy older, well-made pieces for the same if not less money than other big box retailers. You aren't just saving money and the environment, but you are also making your home super unique. Some of our pieces have been around for 100 years and could last for over another 100 if given the proper care. So go vintage... save a forest... keep the landfill empty and enjoy your one-of-a-kind, unique piece without breathing in the harmful toxins that no salt lamp can cleanse. What are you waiting for? Get shopping!